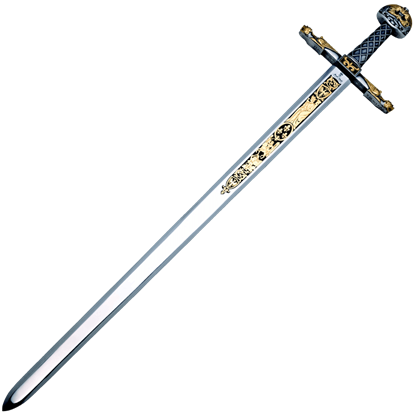 The Deluxe Sword of Emperor Charlemagne, by Marto, is a replica of one of the most well-known swords in the world, the traditional coronation sword of France, once attributed to the great Emperor Charlemagne. This medieval fantasy take on the legendary sword described in the epic poem, The Song of Roland, was made by Windlass Steelcrafts. 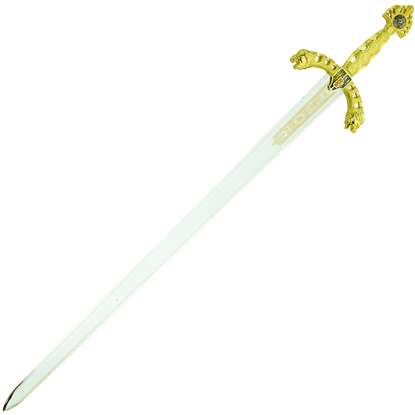 According to legend, Durandal the Sword of Roland originated in heaven, presented by an angel. Inspired by the king and emperor who united Europe in the early Middle Ages, the Sword of Charlemagne with Plaque is an intricately detailed take on Charlemagnes sword Joyeuse. This stainless steel blade comes with a wall plaque. 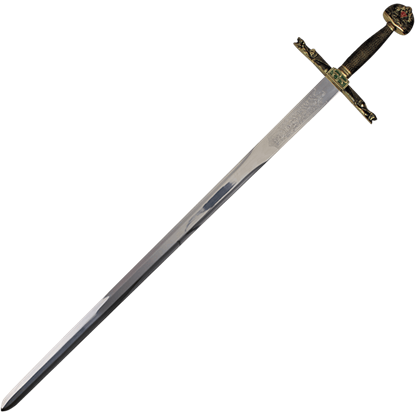 Based on the historical king credited with uniting most of Europe in the early Middle Ages, the Sword of Charlemagne with Sheath is a stunning, stainless steel replica of Joyeuse, the personal weapon supposedly used by Charlemagne. 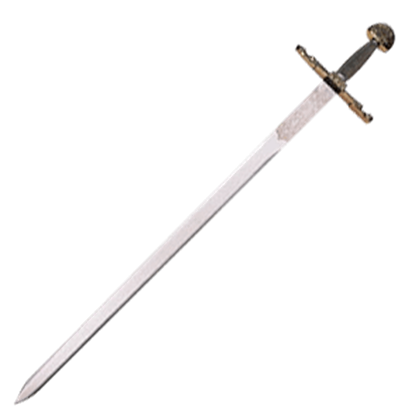 The Sword of Emperor Charlemagne, by Marto, is a replica of one of the most well-known swords in the world, the traditional coronation sword of France, once attributed to the great Emperor Charlemagne. Durandal was the sword of Roland (aka Roldan), the paladin of Charlemagne. Stories say that it once belonged to Hector of Troy. 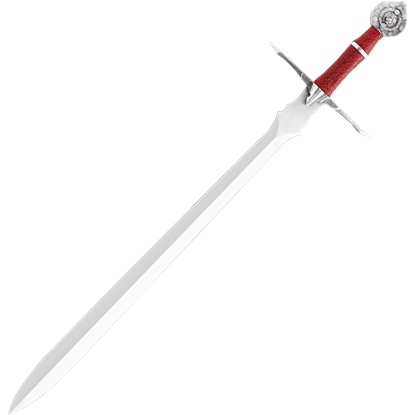 The Sword of Roland, by Marto, is a replica of the Durandal as it is perceived today.